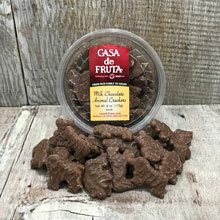 Fun animal shaped crackers covered in milk chocolate. Packaged in a 6 oz. tub.